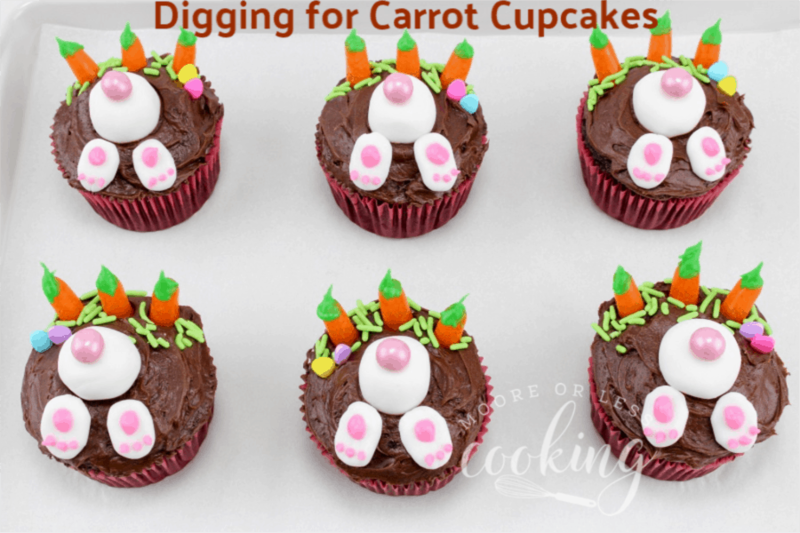 With just a few ingredients you will have the most adorable and delicious Digging for Carrot Cupcakes in no time! Mischievous Bunnies are digging around in the cupcakes looking for their candy carrots. 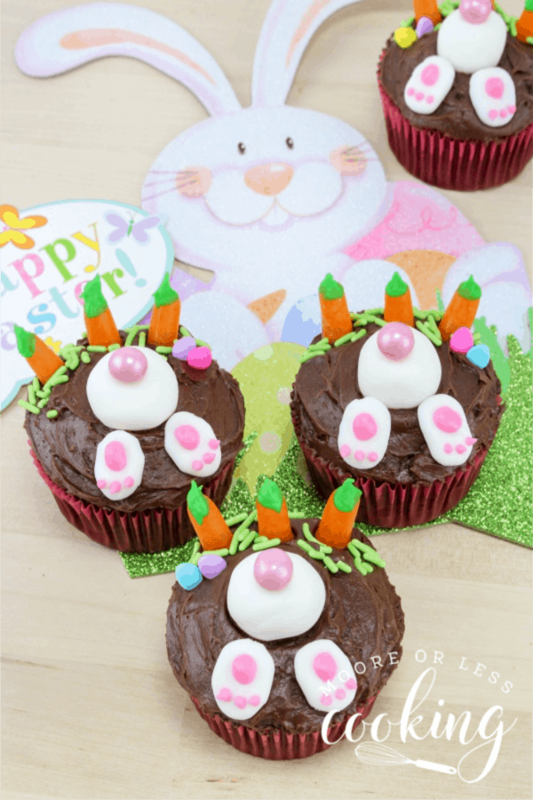 Digging for Carrot Cupcakes are so delightful and will make a perfect dessert for Easter, or a garden party, or Earth Day celebration. 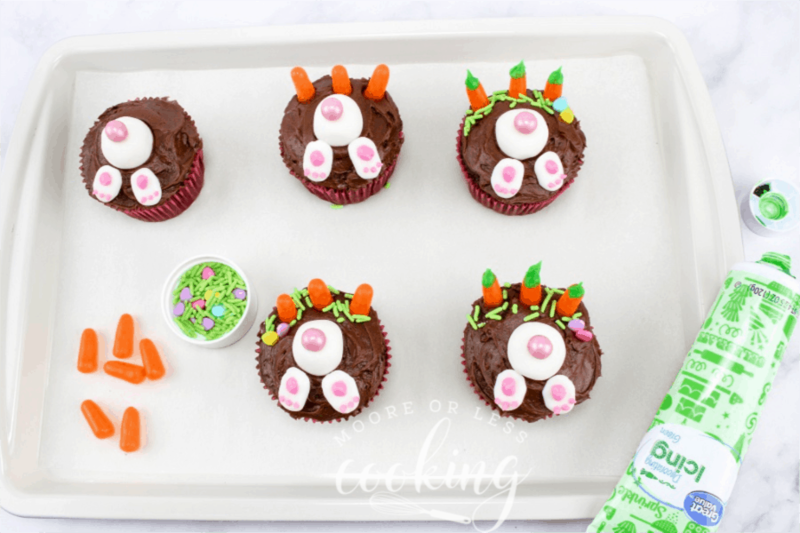 The Easter Bunny will be hopping by in just a few days so I thought it would be a good idea to create a sweet treat that is quick and easy to make. The most challenging part of the project is making Bunny bums out of …. and the carrots out of… They are kind of funny aren’t they? 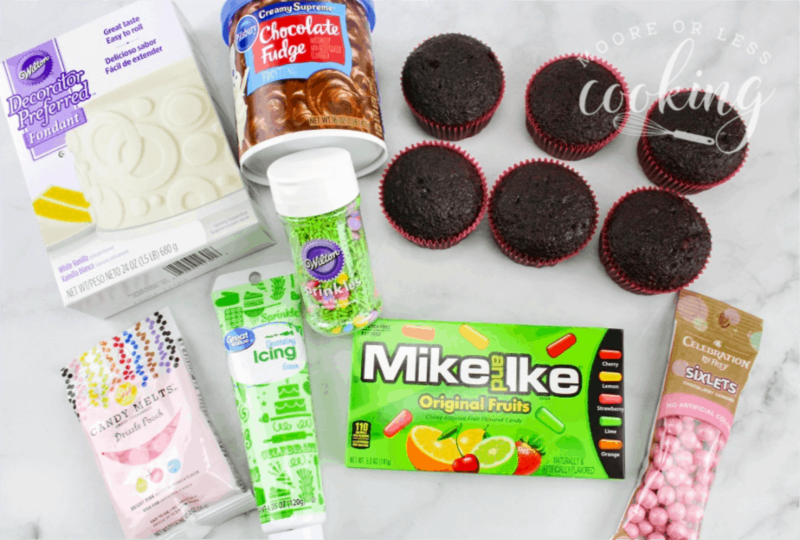 To save time you can even use store bought cupcakes. 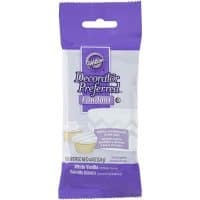 These will be perfect to serve as dessert for Easter dinner, but would also make wonderful classroom or work treats. 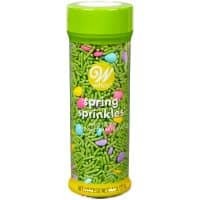 I am hosting Easter dinner at my house this year. It’s going to be a super casual affair. We are having Baked Brown Sugar Ham, Slow Cooker Mac and Cheese, Slow Cooker Mashed Potatoes, Easy Deviled Eggs, English Muffin Bread, veggies, fruit, and Nutella Nest Cupcakes. 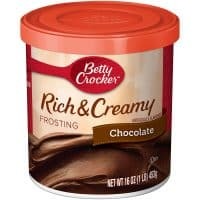 Of course, no one can come to my house for dinner and not have dessert, so these cupcakes will make an appearance along with my No Bake Italian Cream Cake and a few other sweet treats I’ll be making later this week. They are so stinkin’ cute! Don’t you think? 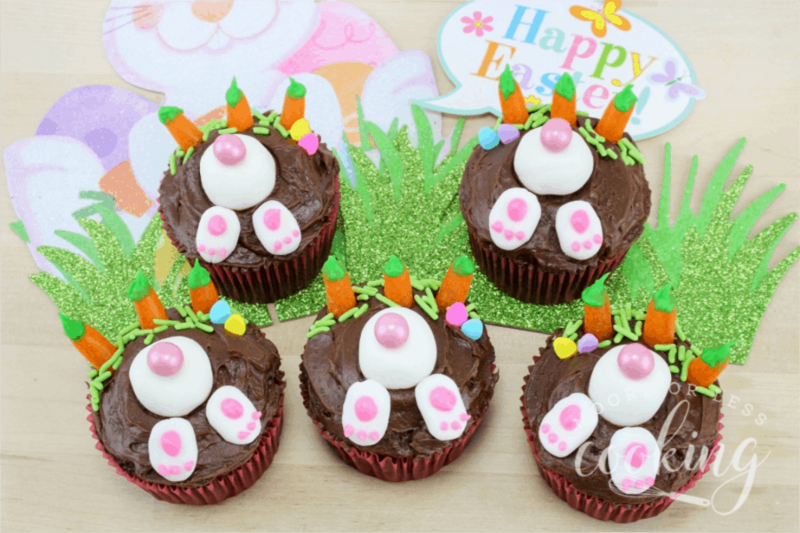 So, let’s see how you can make some of these darling bunny cupcakes. Are you having a big family gathering for Easter? If so, are you serving something special this year? I’d love to hear about your plans. 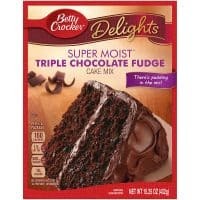 First, frost each cupcake with the chocolate fudge frosting. 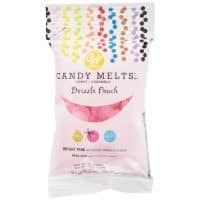 Melt the pink drizzle pouch according to package directions. 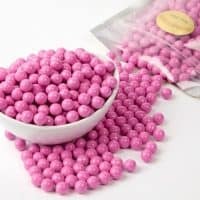 Squeeze a dot of chocolate on the fondant ball and add 1 pink sixlet. On the bunny feet, add a larger dot of chocolate towards the top and 3 very tiny dots toward the bottom. 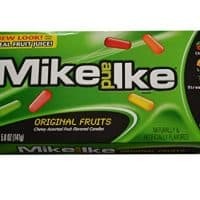 I’m sure kids and adults are gonna love ’em! 1. 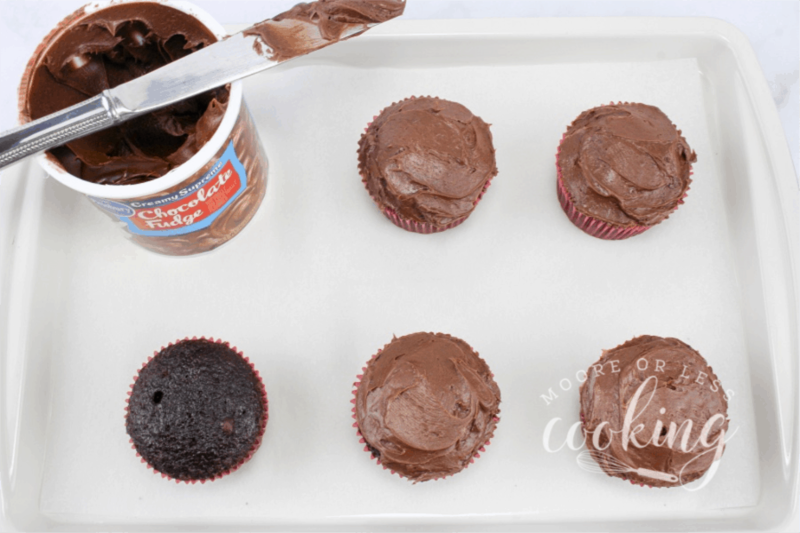 Frost each cupcake with the chocolate fudge frosting. 2. 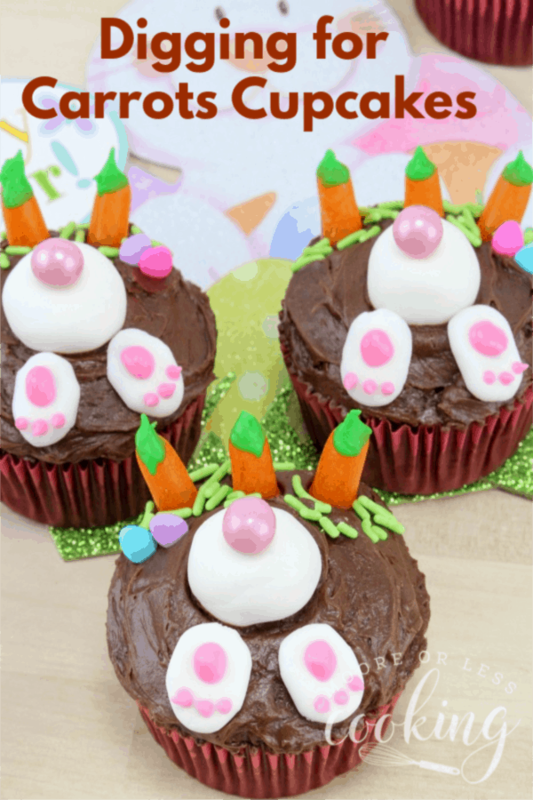 With the fondant, make 6 round ½ inch balls and 12 small flat oval bunny feet. larger dot of chocolate towards the top and 3 very tiny dots toward the bottom. 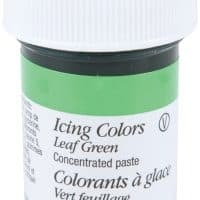 green frosting to create the carrot’s top. 6. 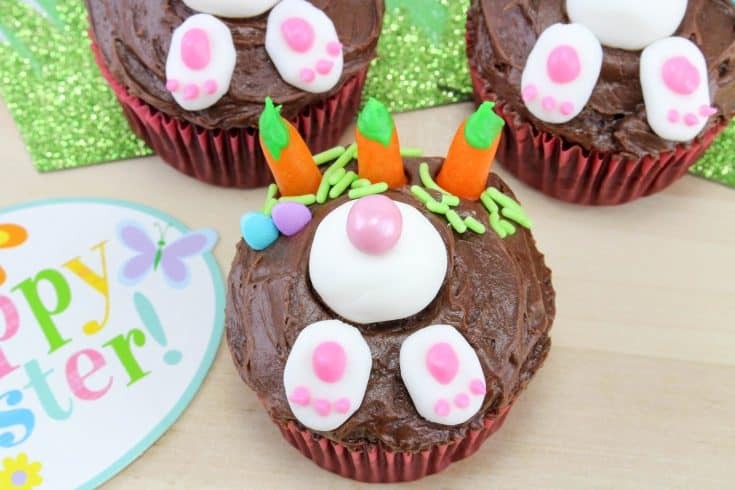 Cute treat for Easter!